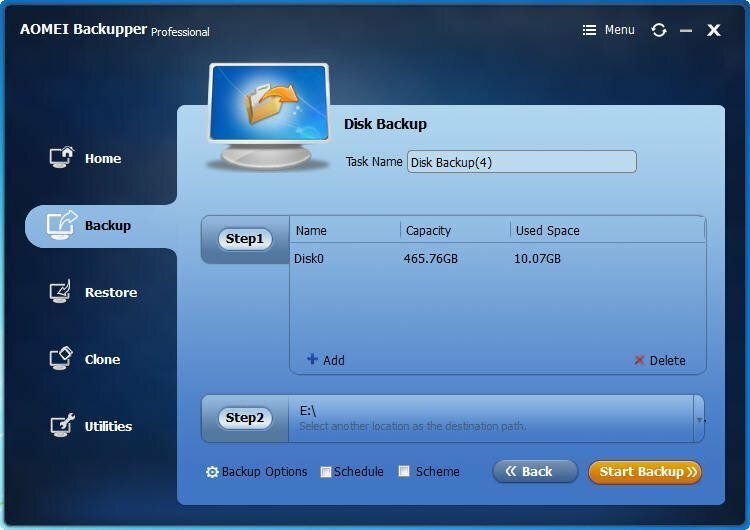 The AOMEI Backupper should be the best alternative to Norton Ghost for Imaging PC easily. It is the best free alternative to Norton Ghost, you can image your PC with it in a few simple steps. A user told us that he has over 100 PCs to deploy and a very short window of time to get them completed, and he is trying to find a software that will finish the task. He knows Norton Ghost is a good image created software but it should be had for five simple payments of $19.95. Thus, he wants to find the best alternative to Norton Ghost for imaging PC. Why you want to imaging PC? Imaging PC is not strange to computer users. Further more, imaging PC after installing operating system has a great meaningful. 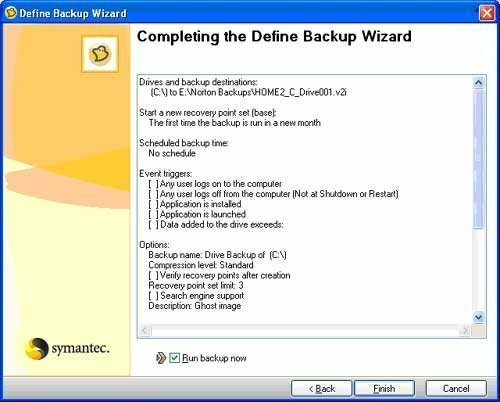 You can use the image to restore computer to the earlier date, or you can use it to deploy a batch of computers. Click OK, then, you can start to image PC with Norton Ghost. 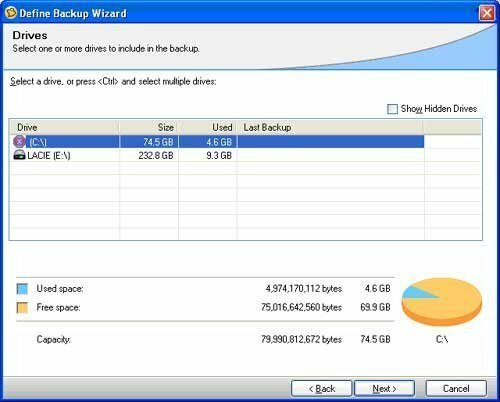 But first, you need to prepare an external hard drive to store the images. 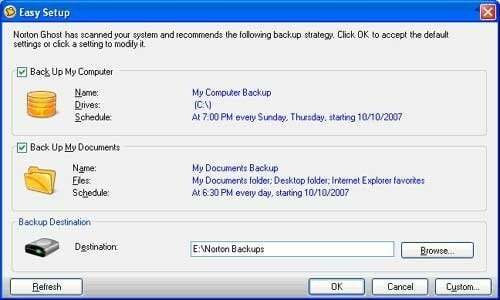 Plug in the external hard drive to your computer and the Norton Ghost will detect it. Then, Norton Ghost will scan your system and documents and recommend strategy for you. You can take the recommended settings. Or if you would like to choose the drives manually. 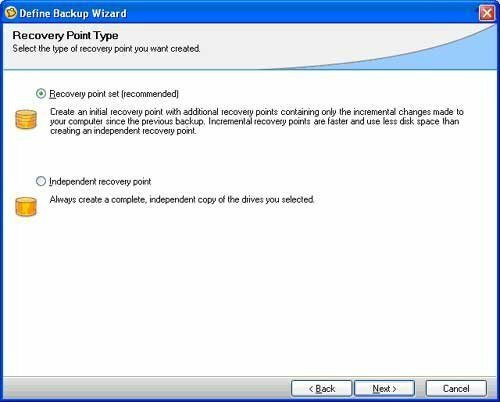 Then, you can select the type of recovery point you want to create. Take the recommended and click Next to move on. Here Norton Ghost will choose the external hard drive as the destination disk to store the images. Check the Run backup now checkbox and smacked the Finish button. When you smacked Finish, the task will be launched immediately. It won’t interrupt your other works, and you can still work while the program executing its commands. When progress have done, you can check if the file were indeed where it was supposed to be. It is such a good software for imaging PC. However, Norton Ghost is no longer available for Home user. thus, find the best alternative to Norton Ghost for imaging PC is necessary. Step1. 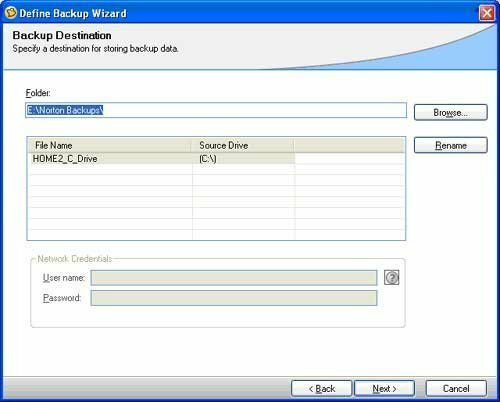 Connect your external hard drive you prepared before to your computer. 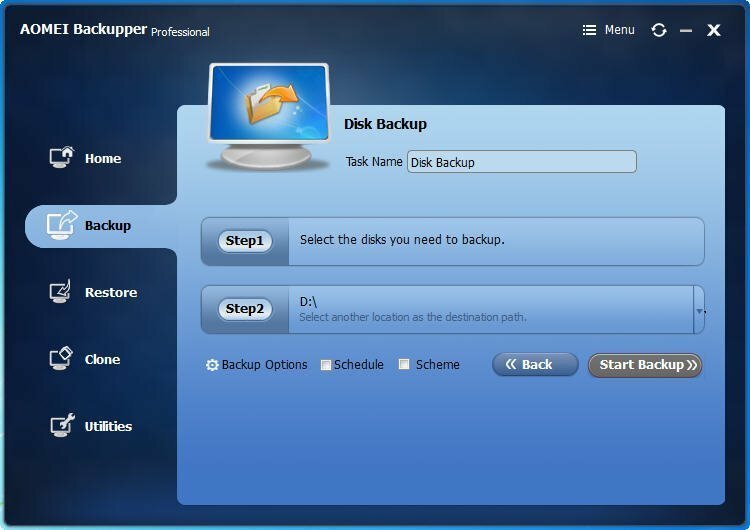 Install and launch AOMEI Backupper (you can also download free edition here).It will display you its deep blue interface. 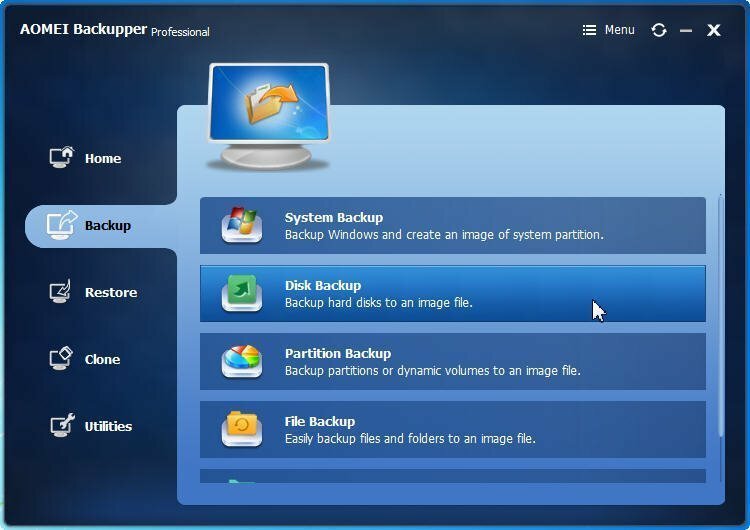 To image PC, clickBackup, select Disk Backup, which can image all data on your hard drive. Step2. Click Step1 to select the disk you need to image as the source disk. Step3.Click Step2 to select the external hard drive as the destination disk. Then, click Start Backupto launch the progress. When the progress reaches 100%, you have already imaged your PC. 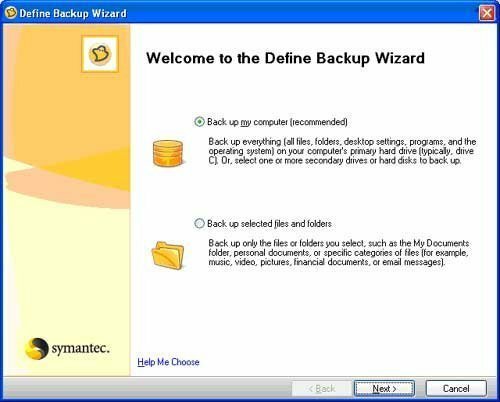 AOMEI Backupper should be the best alternative to Norton Ghost, and it’s Standard edition should be the best free alternative to Norton Ghost. If you imaged computer with AOMEI Backupper, you can also use it to deploy system image to different computer. If you want to deploy to a batch of computers, you can use AOMEI Image Deploy to do it.